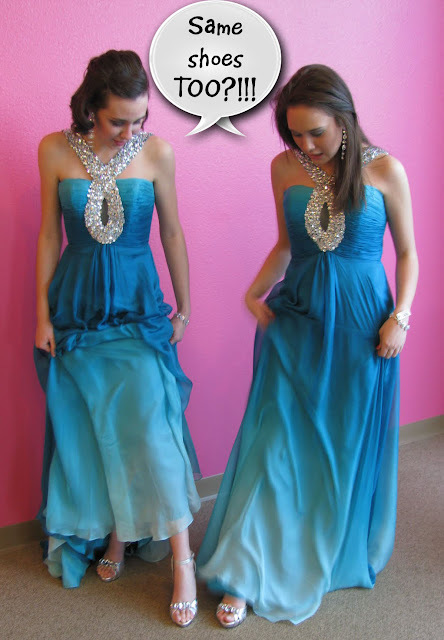 TJ Formal Dress Blog: Bethie and Savannah in the SAME DRESS!! Oh NO!! Bethie and Savannah in the SAME DRESS!! Oh NO!! You spend hours and hours pouring over magazines and websites to find that perfect dress. You are SO excited to wear it and show all your friends! In fact, you've kept it a big secret what you are wearing - not giving out any clues as to what color your dress is, if it's long or short, strapless or halter...no, not a thing. Your friends will be so amazed when you walk into prom that night! They will love it! 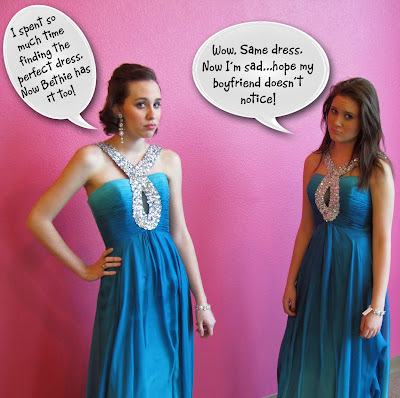 Bethie and Savannah learned the hard way how it feels to walk into prom and see the same dress across the room, worn by someone else. 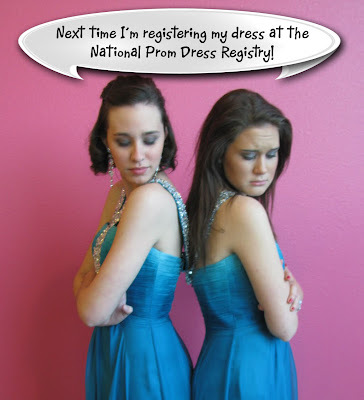 Now you can learn from THEIR mistake by registering your dress at the National Prom Dress Registry. It's totally free! But it doesn't work until ALL your friends and classmates register their dresses too. So tell everyone to JUST DO IT! Spread the word! After all, isn't giving up the surprise of what you are wearing better than having to stare at YOUR dress, on someone else, all night? I love the cute way to get the point across!! really neat! National Prom Dress Registry is so awesome! I am telling all my friends! Getting to know dress fabrics! Dakota Fanning in an architecture-inspired dress! Dresses on the Red Carpet for the Oscars! Ask TJFormal: Should I dress for the prom theme? More Sherri Hill in WHITE!